CHICAGO — In recent years, a transforming economy and disruptive technology have converged to change the landscape of the consumer packaged goods industry. Today’s shoppers are far more sophisticated and demanding than ever, expecting a best in-store experience that includes having the shelves stocked properly so that the shoppers find the products they are looking for quickly, easily and consistently. “Retailers must be at the top of their game at all times. The battle to win customer loyalty and maximize customer lifetime value is fierce, and every store visit will move the retailer closer to victory or defeat. At each and every visit, ensuring a good customer experience is a must, and proper on-shelf availability is a critical lynchpin in delivering excellence,” said Brad Shelton, president of IRI’s retail collaboration solutions. 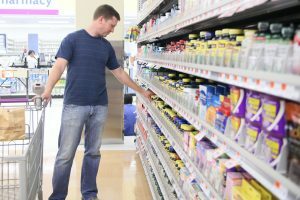 IRI has developed a proprietary on-shelf availability (OSA) optimization capability that quickly and inexpensively provides near real-time analysis of first- and third-party big data sets, using artificial intelligence and machine learning algorithms to pinpoint problems in the store, all the way down to the item level. With this system, daily item-level alerts are delivered directly to in-store personnel, pinpointing the exact products that have OSA challenges. “Today’s shoppers are demanding. They are laser-focused on accomplishing their mission — buying the product they want, where and when they want it. This leaves retailers with a daunting challenge: They must ensure that the product is on the shelf and ready for purchase. This is difficult — on-shelf availability is a complex process involving buyers, suppliers, distribution centers and in-store execution,” noted Prakash Tilwani, executive vice president of supply chain and media solutions at IRI. Tilwani said that, as a result, out-of-stock situations continue to plague the CPG industry. The reasons for out-of-stocks are many, but the result is the same: If the product is not on the shelf, the sale is lost. Fully one-third of out-of-stock situations are due to empty shelves. The cumulative financial cost of out-of-stocks is quite high. A recent report from IHL Group estimates that out-of-stock situations in the United States cost retailers $47.4 billion annually. To offset, retailers have increased safety stock, which increases expense. To arm retailers with the insights they need to conquer these store execution challenges, IRI has developed the IRI On-Shelf Availability Optimizer. “This near real-time alerting system leverages big data, machine learning and artificial intelligence to flag items that should be selling but are not selling. It also identifies items that have an obsolete inventory count in the system, which could result in out-of-stock or overstock situations. Retailers that are leveraging this alerting system have been able to fix millions of inventory defects, all leveraging science and data that replace manual shelf audits,” said Shelton. He explained that IRI has created ML-driven supply chain alerts to assist retailers in addressing key store execution challenges and improve on-shelf availability. “The IRI On-Shelf Availability Optimizer was developed to provide a customer-lens perspective of in-store execution issues that lead to out-of-stock situations. The solution analyzes an array of first- and third-party big data sets, including data on sales, inventory, shipments, causals, seasonality, planogram and macroeconomic indicators using AI and ML algorithms to pinpoint problems at the store and item level. “This cloud-based model is hosted on the industry’s premier IRI Liquid Data platform, which stores, integrates and harmonizes these disparate sources of data, leveraging predictive automated analytics to generate near real-time insights, in many cases before OSA challenges start to impact the customer. The solution is integrated with store workflows and alerts available on handheld devices, making them available to employees on the floor, on the move and positioned to quickly address the issue,” Shelton ­concluded.